Serious about your bike? 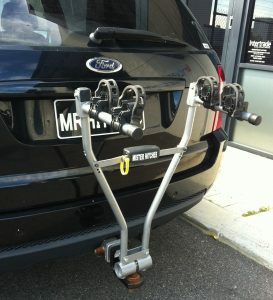 Come visit Midland Towbars for your Bike Racks Perth! Here, at Midland Towbars, we sell bike racks of all types, depending on the type of vehicle, your requirements and your budget. We stock a variety of sturdy, rustproof and multiple-sized models. All our bike racks are designed to keep your bike safe while traveling, as well as making them easy to access once you arrive at your destination. 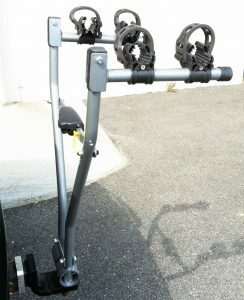 Choose Midland Towbars for Bike Racks Perth! It used to be that we had just a few simple bike racks that could take any bicycle. Nowadays, with our advanced designs and technology, bikes come in all sorts of shapes and sizes and they don’t always fit our old style bike racks. Come on in and have a chat about your bike and let’s find a suitable bike carrier solution to suit your vehicle and your budget! Midland Towbars; you’re #1 supplier of Bike Racks in WA. Look after your bike in transit; choose Midland Towbars for Bike Racks Perth!